MOON Renne, Doctor EMC. Make an appointment, ask a question. 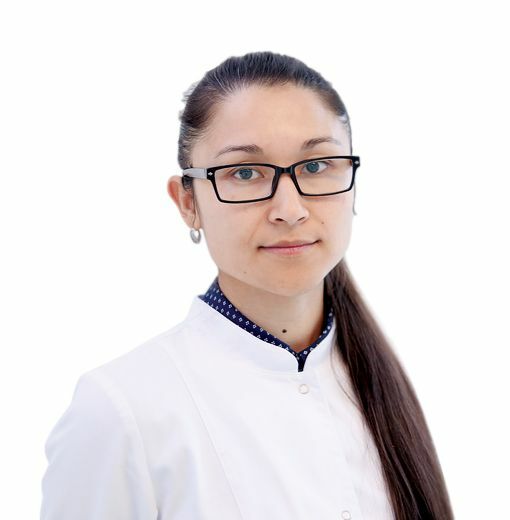 In 2015 she has graduated from the Federal State Budget Educational Institution of Higher Education "Volgograd State Medical University" of the Ministry of Health of the Russian Federation in the specialty "Medical care". In 2017 she graduated from clinical residency in psychiatry at the Federal State Budgetary Institution "National Medical Research Centre for Psychiatry and Addictology n. a. V.P. Serbsky". She is a forensic psychiatric examination physician, a psychiatrist at the Federal State Budgetary Institution "National Medical Research Center for Psychiatry and Addictology named after V.P. Serbsky". Currently she works at the EMC as a doctor on duty and an outpatient doctor. She specializes in the treatment of patients with the disorders of anxiety (panic disorder, generalized anxiety disorder, etc.) and affective (depressive disorders) profiles.